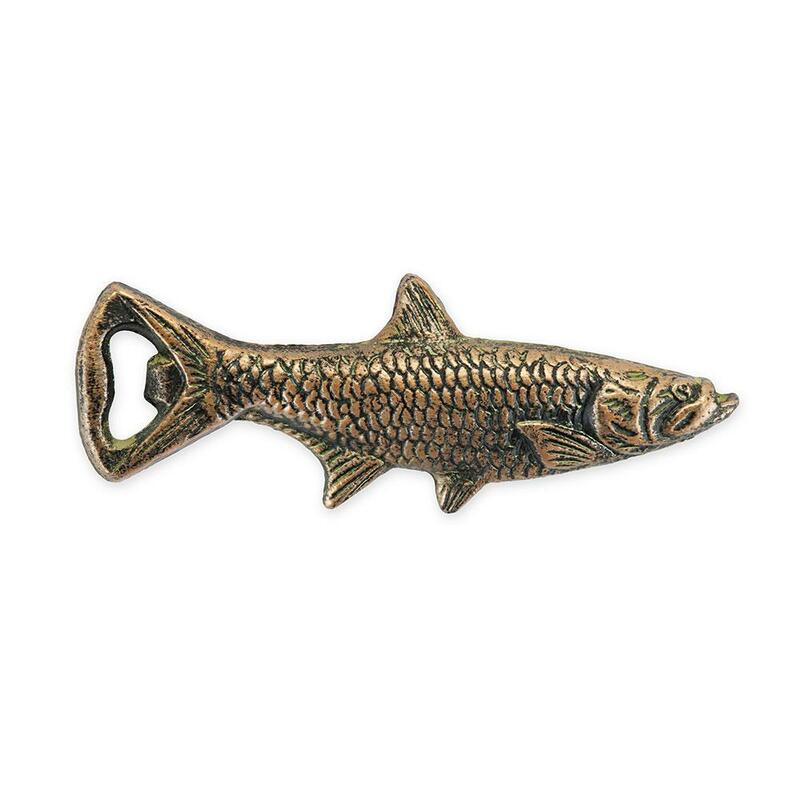 Fashioned from heavy cast iron and refined with a weathered bronze finish, our fish bottle opener is a formidable force against beer caps and bottles alike. 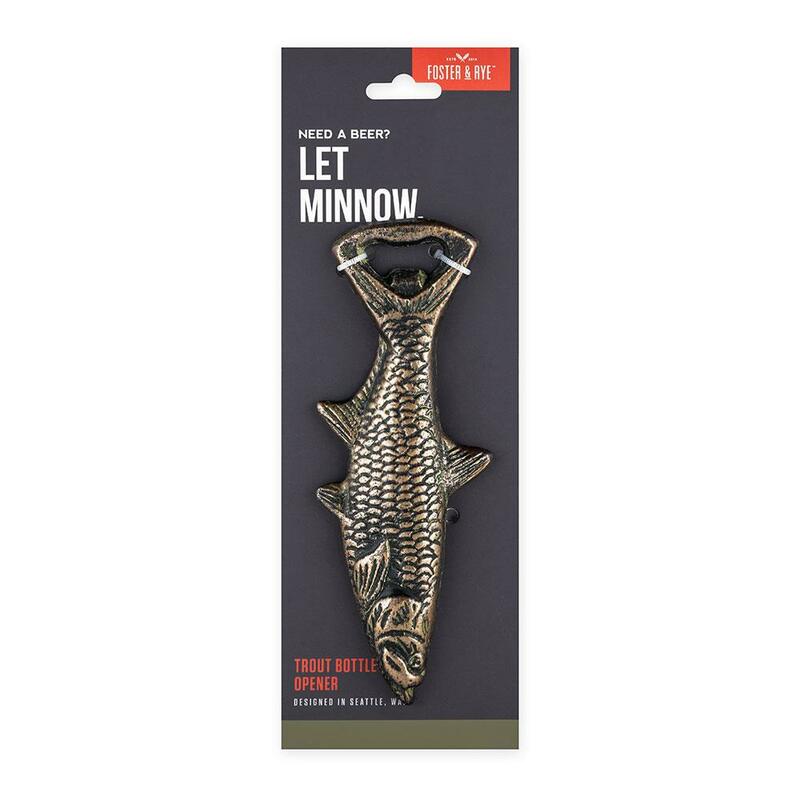 Grab this gill-bearing guppy for on the go tomfoolery or at-home festivities. 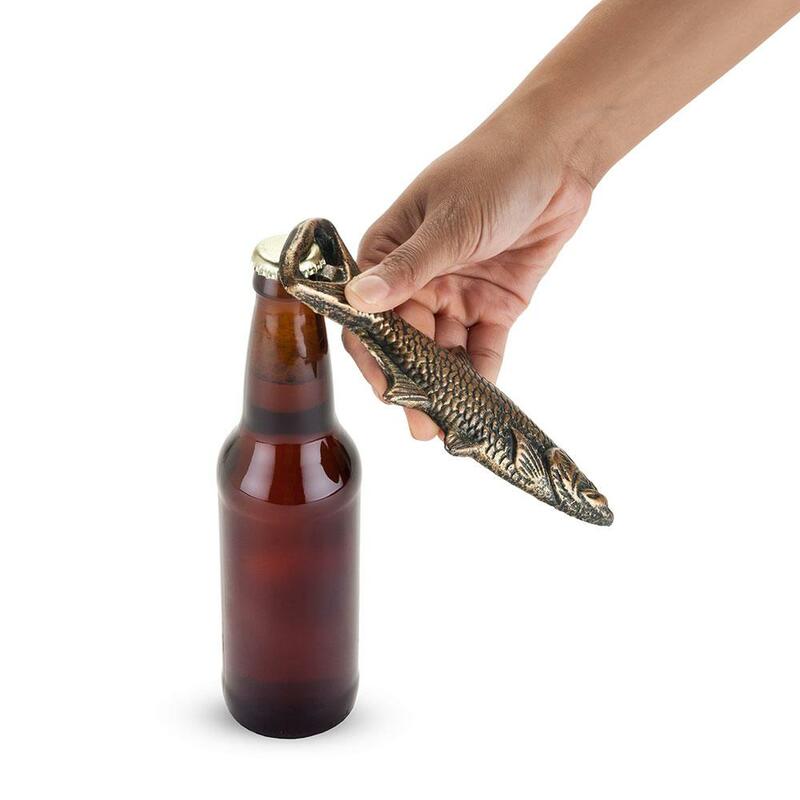 Because really, what better way to get sloshed?